Do you love enjoying comedy movies? 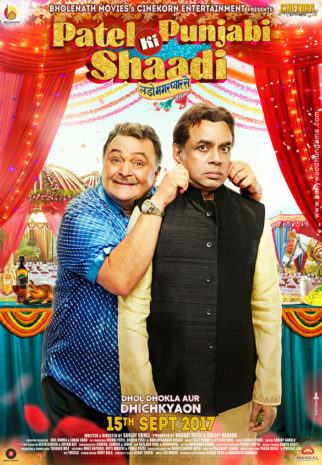 Then do watch Patel ki Punjabi Shaadi releasing on 15th September 2017 in your nearest theatre at great offers.Online ticket booking stores like BookMyShow, Paytm, Freecharge and PVR cinemas are offering cashback offers and discounts up to 100% cashbacks on booking tickets of movie Patel ki Punjabi Shadi. This is the hot ongoing offer on BookMyShow where you can get your second ticket free with the booking of your first one. The booking should be done through BookMyShow app or website and only on payments done by Axis Bank Burgundy Debit cards. The offer is valid till 15th October 2017. The user can book maximum 4 free tickets through this offer. Enjoy your movie at lower cost on weekends with upto Rs. 100 discount on the cost. Ths code applicable is WEEKDAY100 from Monday to Thursday. The offer is valid only till 30th September 2017. Now here is the chance to get free ticket on your booking of first ticket. Get the 2nd ticket free on booking of your first movie ticket on BookMyShow. The offer is valid on all days of the week till 31stMarch 2019. It is applicable for all the users through web portal or BookMyShow app. The payments should be made through ICICI Bank Coral, Rubyx and Sapphiro Debit cards. The minimum of 2 tickets should be booked to avail this offer. Hurry up! Only 200+ customers will everyday receive the benefit of this offer. Enjoy your movie as well as your snacks with Rs. 500 off on its purchase. BookMyShow gives you cashback upto Rs. 500 on your movie ticket bookings from Thursday to Sunday every week. One can get upto Rs. 300 off on second ticket and Rs. 200 off on food combos on payments made only by VISA Signature cards. The offer is valid till 31st December 2017. The offer can be availed through both BookMyShow website and app. Win 2 free movie tickets every month with your SBI Signature/Elite credit cards. The offer is valid only till 31st March 2018. The offer is valid on purchase of minimum 2 movie tickets through the mentioned credit cards. It is applicable for all days of the week and for both web and app users. Save Rs. 100 on your total ticket booking cost. The offer is valid till 31st March 2018 and 200+ customers will get the benefit. The offer is valid on payments made through ICICI Bank Credit cards. Are you a new user? Then enjoy Rs. 77 cashback on your first movie ticket booking through Paytm. The code TICKET77 is valid for only once per user. It can be availed both through app and website. The minimum of 2 tickets should be booked to be eligible for this offer. Hurry up! It’s a limited period offer. This is Paytm exclusive movie offer for its new users. Get 50% cashback upto Rs. 150 on using the code MOVIE150. The maximum cashback received per transaction is Rs. 150. The code can be used only twice per user and it is not applicable where theatres accept advance booking tokens. This offer is valid till 28th September 2017. Book now and save more. Save upto Rs. 100 on your movie tickets on Paytm. Get 10% and a cashback of Rs. 100 on your ticket cost by applying code MOVIE100. It is valid twice per user till 28th September 2017. The offer can be availed through app and website both. The cashback amount will be credited within 24 hours of the booking. Enjoy your movie and save too. Get 100% cashback on your movie tickets booking through Paytm on Cinepolis Cinemas. Use code TOOMUCH to get 100% cashback on price of one movie ticket and upto Rs. 400 on booking of 2 tickets. The code can be used only once and is valid till 10th October 2017. The maximum cashback received will be Rs. 400 which will be credited within 24 hours of the transaction. This is valid in Cinepolis: Red Mall Ghaziabad, Fun Cinemas: Sigma Mall, Bengaluru, Cinepolis: Season’s Mall Pune. PVR Cinemas is offering flat 50% cashback on every 10th customer. So get the chance to be the lucky 10th customer to receive the benefit. The offer is valid only when you pay through Paytm wallet. 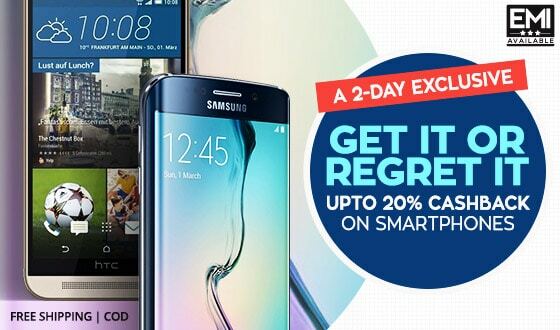 The maximum discount is Rs.60 and the maximum cashback received will be Rs.100. It is for the ticket purchased through PVR website or app. No coupon code is required. Hurry up! It is limited period offer. Now get your Saturday’s 2nd movie ticket free with the booking of first ticket through PVR website. The payment should be made through Kotak Mahindra Credit or Debit card. This offer should not be combined with other offers. Grab the offer now. Book your movie tickets on BookMyShow through Mobikwik and get upto 50% cashback. The maximum cashback returned will be Rs. 100. The code BMS100 is applicable only once per user. This is the limited period ongoing offer. Now book your tickets at PVR Cinemas and get up to 15% cash back on movie tickets booking without any coupon code. One needs to pay the amount using Mobikwik Wallet to avail the cash back. Avail this offer which is valid till 30th September 2017. The maximum cash back a user can avail is Rs100. The cash back will be credited to users of Mobikwik wallet within 24 hours. If you had booked tickets from Book My show, then it is perfect. You will just have to use a Mobikwik promo code MOBIBMS so you can avail 15% cash back into your Mobikwik Wallet. All users can avail this offer. The maximum cashback you can avail is Rs.150. User can avail cash back which can be availed once per month during offer period. The offer is applicable until 31st August 2017. Now book your Patel Ki Punjabi Shaadi movie tickets online by following the below mentioned easy and hassle free steps. Login to your desired movie booking app. Choose Patel Ki Punjabi Shaadi movie. Select your nearest cinema hall. Select the show timings of the movie. Apply the coupon code if there is any. Then, choose the payment method. Book your tickets and enjoy the movie. The movie is a romantic story of two lovers belonging from two different cultures and their journey of marriage. 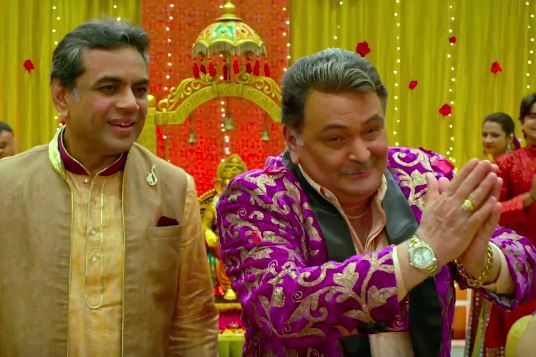 The comedy theme is evident in the movie by the presence of Rishi Kapoor, a Punjabi guy and Paresh Rawal, a Gujarati whose children are getting married to each other. The comic scenes revolving around the two families and how they get along with each other will interest the audience. The movie is set to release on 15th September 2017. Make up your mood to grab the first day first show tickets of this upcoming movie and rejuvenate your mood.